Service is on Sundays at 10:30am and last about an hour with a social hour following in the Community Room. In addition, from September through June an adult education forum, “Sunday Morning Dialog” begins at 9am and ends at 10am in the Community Room. Breakfast foods and coffee are provided at 8:45am. All are welcome! What should I wear to the Meetinghouse? Some dress casually and some more formally. Children should dress comfortably in clothes welcoming to movement and art and outdoors. Do I have to be a member to attend services or participate in classes/events/groups? We welcome everyone into our beloved community! There is no requirement for membership – ever! There are benefits to membership; you can find out more by attending our Path to Membership classes offered three times a year in the fall, winter and spring. We hope you will find a home at UUCMC and explore membership when you are ready. There is some parking in the front of the building, but lots more in the back. If both lots are full you can also park on the street. What should I do the first time I come? Come a little early and let a Greeter know you are new. They will give you a nametag if you would like, help you fill out a visitor card, provide you with a visitor packet of information and show you the Sanctuary and religious education classrooms for your children. After the service please join us for refreshments in the Community Room. Please contact our Director of Religious Education, Michelle McKenzie-Creech by clicking one her name to email her or calling (732) 741-8016 the week before so that she knows you are coming. Come a little early so that the children can see their classrooms first and then the entire family can be seated in the Sanctuary. The children join us for the first part of the service and then go to classes. We have a wonderful, safe nursery for infants and toddlers. Taishauna Vanduyne is our childcare coordinator. She is there nearly every Sunday to meet you and introduce you to our childcare volunteers. You might want to come one Sunday and stay in the nursery with your child to acclimate them and get comfortable yourself. In general, babies go to the nursery during the service. If you your baby is very young and you wish to bring them into service please consider sitting near the back so that your possible movement will be less disturbing during the service. You can also hear the service in the East Room, a peaceful room just to the left of the Sanctuary, if your baby is unhappy. We offer Path to Membership classes in the Fall, Winter and Spring for newcomers. 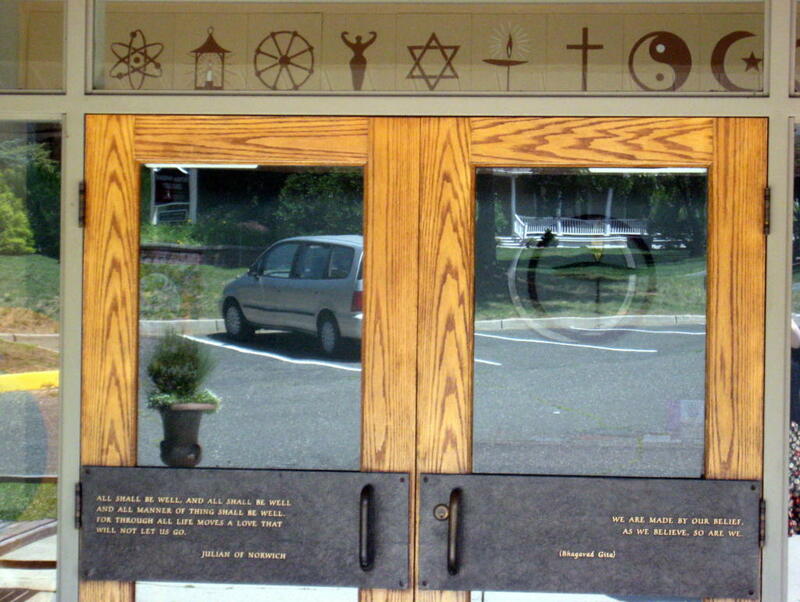 Our Adult Religious Education courses, Covenant Circles and other offerings are open to all. Joining a small group and coming regularly to services is the best way to learn about us. Please visit Unitarian Universalist Association Of Congregations for additional information. How do I get to the Meetinghouse? 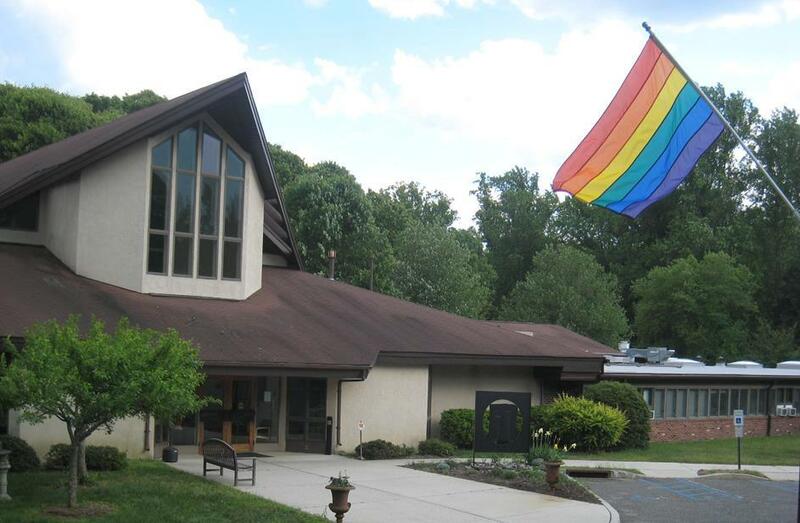 The Unitarian Universalist Congregation of Monmouth County is located in Lincroft, New Jersey. 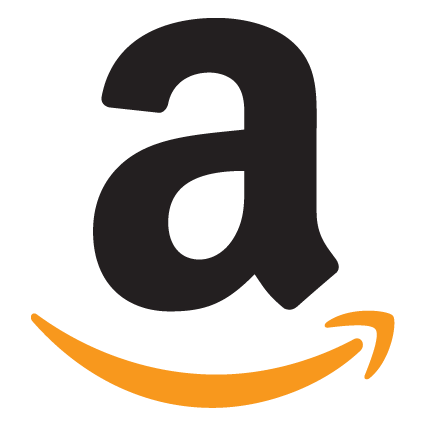 Click here to go to the Directions page. Call us at the Meetinghouse 732-747-0707.